BMW have done it! 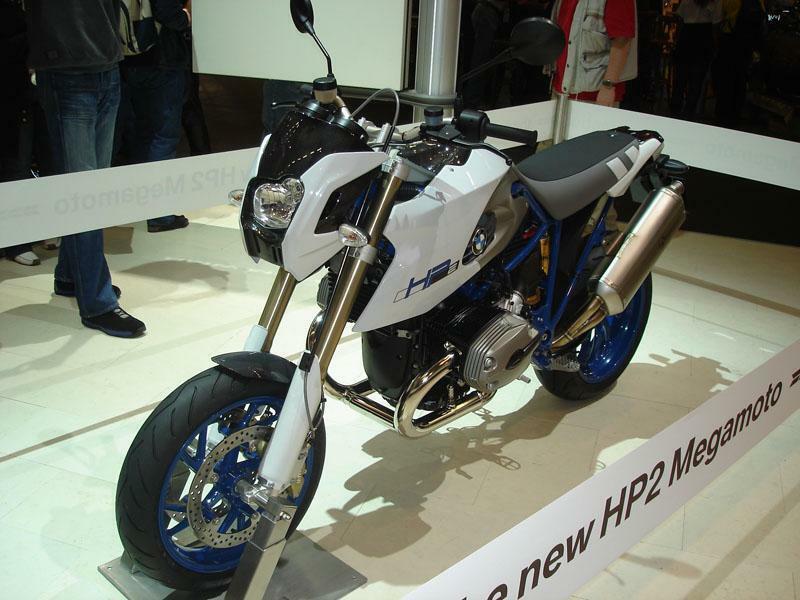 They've outdone Ducati's Hypermotard and unveiled a new bike with the coolest, most outrageous name - the HP2 Megamoto. Changes from the original HP2 are minimal styling wise. The Megamoto's biggest difference lies with the smaller supermoto wheels and it also has this very tidy nose fairing. Check out these pictures taken at todays Intermot Motorcycle Show in Cologne, and for a background and more information on this new BMW read the full story in next weekds MCN released on October 18. Quality bikes for sale: Click here.